The B2B power shift: How do you respond to customer-led demand? Exploring the service environment of the future and the key learnings from market-leading organisations of today, Ernst & Young experts Vanessa Clark and Rob Keates will outline their predictions for the future of the service market and how you can anticipate and respond to the changing customer landscape. The webcast will cover the trends we see today and what this could mean for customer-centric organisations in the future. · A summary of the current customer market trends in the service environment. · A prediction for the future based on current trends. · An understanding of how organisations can respond to these trends. 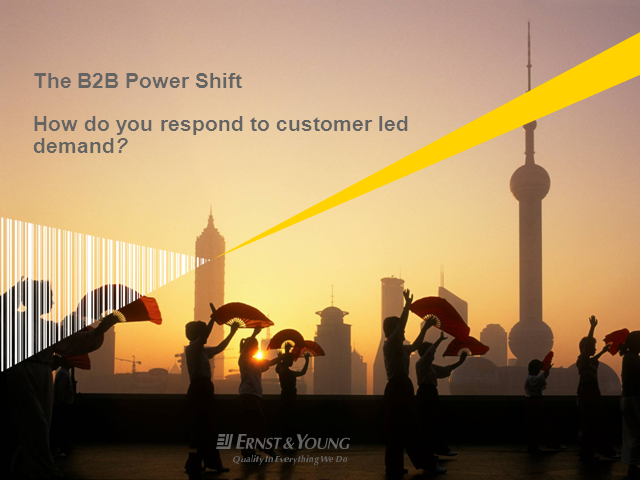 Title: The B2B power shift: How do you respond to customer-led demand?